← The Dawg Days of Antigua are nearly upon us. Well, it’s finally happening, after a long run south, with a stop in Bermuda for many, the Fall Salty Dawg Rally participants are beginning to arrive here in Antigua. That’s a good thing as am here with lots of parties planned and I just hate putting on parties when nobody shows up. When I arrived on Tuesday, there was, in fact, nobody here from the rally which was a bit of a bummer. I should note that I came to Antigua the easy way, by plane, flying in for a week to enjoy all the festivities with fellow Dawgs. As they say, “nothing goes to weather like a Boeing 737”. Sadly, I’ll have to leave before some even arrive as there are a number of Antigua bound boats still up in Bermuda, waiting for a window to head out. It’s been challenging weather, that’s for sure. The weather here has been unusual here as well with more rain than normal. As a result, Antigua is remarkably green. This island is normally fairly dry this time of year, but now it has a beautiful tropical look I’d usually associate with the lush islands further south. 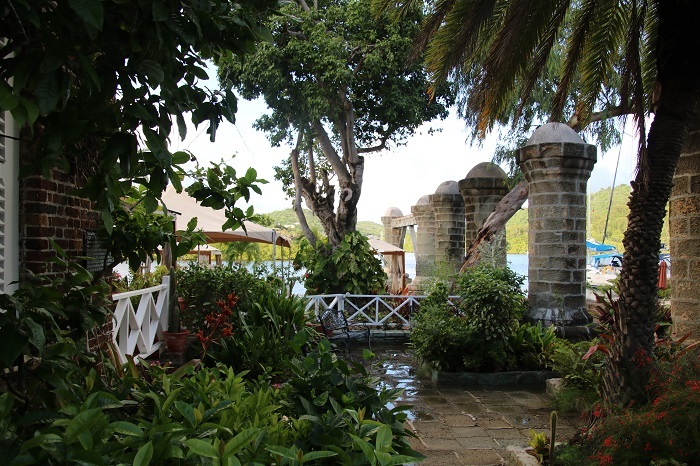 I am staying at the Admiral’s Inn and it’s a lovely spot with beautiful grounds, authentic, although updated, from Lord Nelson’s time on the island. This is the view from the end of the hall. What a spot. The gardens are really amazing. And you can’t beat this as a spot to have morning coffee. That’s my friend Craig, in the blue shirt reading a good book. He arrived yesterday to join in the festivities. And, there are plenty planned. In my second year as Port Captain for Antigua, I continue to be struck by how generous everyone here has been in helping set up a really wonderful series of arrival events. Forget the notion of an “arrival dinner”, here in Antigua think “arrival week”. 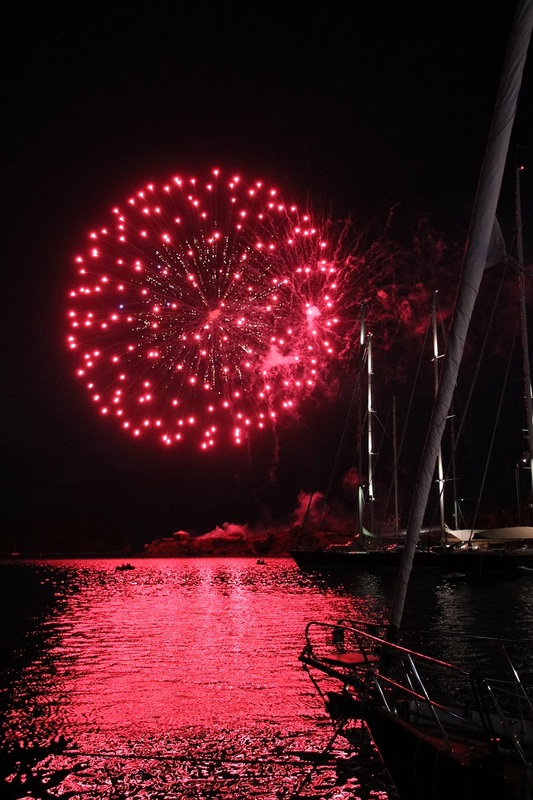 Of course, we will still have our official “safe arrival dinner” at the end of the week at Boom, overlooking Nelson’s Dockyard but we will also have plenty of other events that will keep our early arrivals busy and make the Dawgs feel at home in Antigua. Click here to see the full list of activities. As I write this, on Saturday morning, perhaps 15 boats have have arrived but more will be coming into port over the next few days. Many will tie up in historic Nelson’s Dockyard, the only operating Georgian Dockyard in the world. And, to make things even better, they can enjoy this fabulous harbor for about the same cost as they’d have to pay for a mooring in some US harbors. 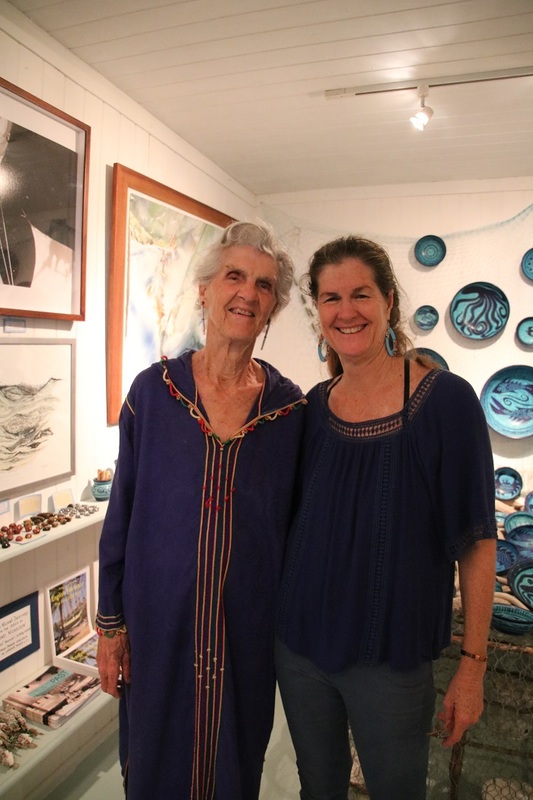 Our events began two days ago and the first of the many planned events was a special evening at the Rhythm of Blue Gallery in English Harbor. Owner Nancy supplied the Dawgs and many local friends with free rum drinks, wonderful passed appetizers, sushi actually, and she even hired a terrific reggae band that really kept things hopping. Nancy was joined by her mother, Ann, at the event. Her parents were early in coming to the island to set up a fledgling charter business, I believe. The two were great hosts for the event. A few boats arrived that day so we had some Dawgs in attendance. My friends Bill and Maureen, on the left, had come up from their summer “home” in Trinidad, aboard their Kalunamoo. 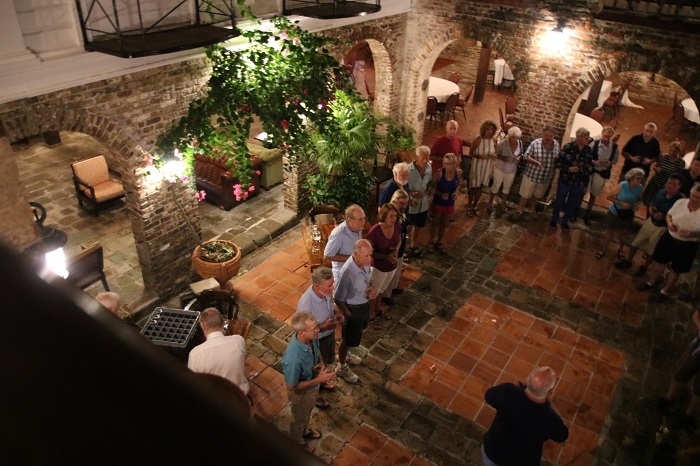 Later in the evening we were invited to a special talk, complete with free wine and cheese, at the Antigua Yacht Club by Andrew Dove from North sails who spoke about his 40 years as a sailmaker. 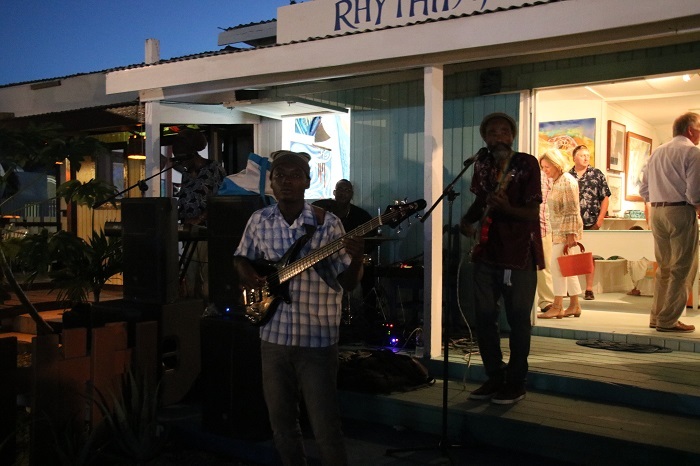 Last evening we were treated to a wonderful event at Copper and Lumber, in the dockyard by one of my favorite groups, The Royal Tot Club of Antigua and Barbuda. I won’t repeat what I have written about this group except to say that they meet every day to toast the Queen. I am not sure of the exact count but I believe that we had more than two dozen Dawgs with us. It was a beautiful, historic setting. If some how, you missed what I have written in the past about the Tot Club, click here for a post from last season. It’s a great group. During “arrival week” we will welcome more and more of our members to Antigua for a great line-up of events, most at little or no cost to the Dawgs. 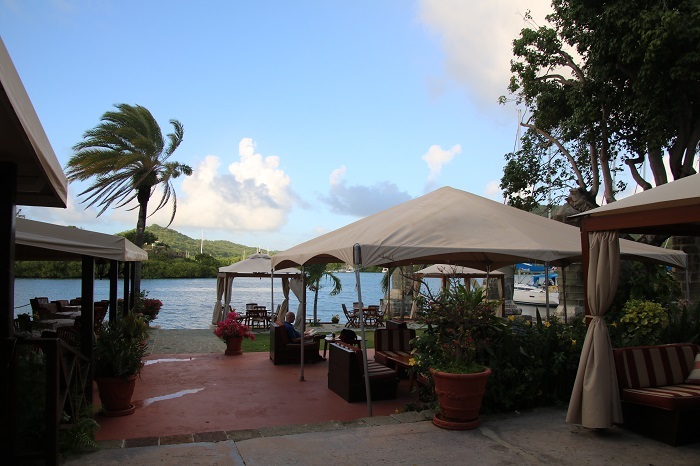 And to cap things off we will have our arrival dinner here at the Admiral’s Inn, perhaps the most scenic spot in Antigua. Last year, this event was really well attended and I am hopeful that most will be on-island with us this year as well. It’s been very rewarding to me, as I worked with many here on the island to set up this year’s arrival events, to see how enthusiastic everyone is about the rally coming to their island. 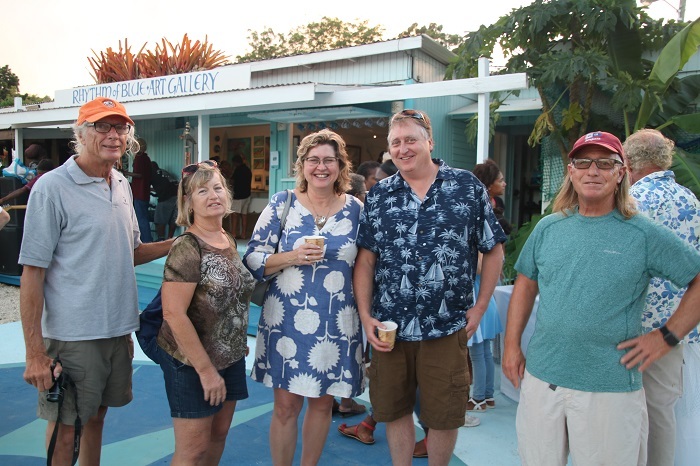 In particular, the Antigua Yacht Club, local businesses and government officials have made it very clear that having us visit is very important to them. Given their enthusiasm, I am confident that next year’s events will be even better. Charles, “Max” Fernandez, the Minister of Tourism, will be with us again, for the second year, which is more evidence that Antigua really appreciates our making their island a destination for the rally. If you didn’t get to Antigua in time for our event week, be sure to put Antigua on your itinerary for later in the season and for next year’s Salty Dawg Fall Rally to the Caribbean, or should I say the “Salty Dawg rally to Antigua”. I personally guarantee that you will be glad you did. 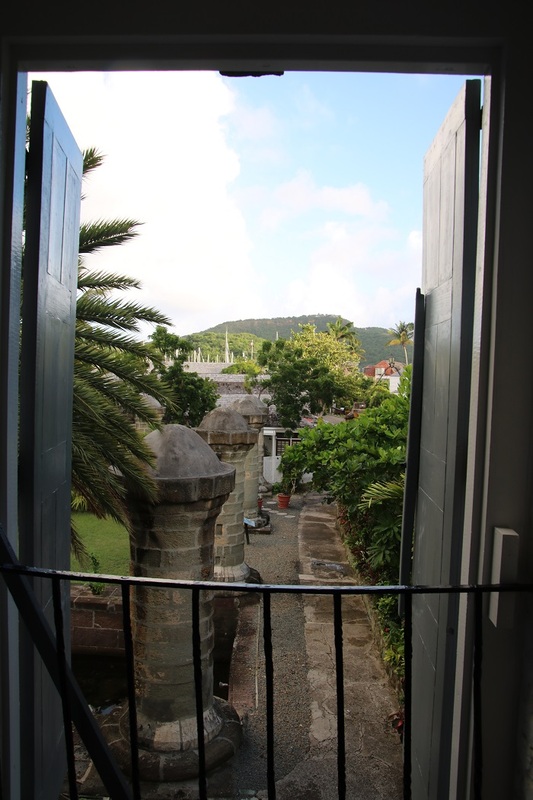 If Antigua is still on your travel plans before the end of December, make a point of being in Nelson’s Dockyard so you can ring in the new year. There is nothing quite like fireworks over the fort guarding the harbor. Brenda and I did this, along with other Dawgs last year and it was fabulous. I expect to have a full list of 2019 arrival activities posted on our site this coming January. If you missed this year’s arrival events, you’d be well advised to put Antigua on your schedule for next Fall’s rally. I know I will. Now you see why it’s so easy to say, and that’s not Fake News, that we are deep into the Dawg Days of Antigua. Dang, I am really digging your one liners, ha! Oh my, the place where you met the Tot Club as well as Admiral’s Inn is so pretty!